Mount Alvernia College has taken every care in the preparation of this website. However, the College makes no representations or warranties of any kind, expressed or implied, as to the operation of the site or the accuracy or completeness of information, content, materials, or products included on this site. 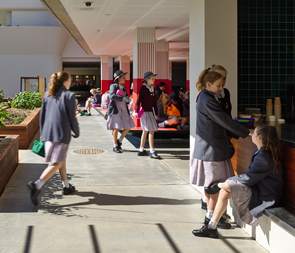 Opinions expressed in reviews, articles or reports exhibited on this site are not necessarily those of Mount Alvernia College. Mount Alvernia College will not be liable for any damages of any kind to any person arising from the use of this site. Copyright in all material presented on Mount Alvernia College website or any other Mount Alvernia College publications (printed or electronic) is vested in Mount Alvernia College. Reproduction of any material contained on this website for any reason other than personal use is strictly prohibited, unless prior written consent is obtained from Mount Alvernia College. Click here to view College Policy documents.